Data Breaches are on the Rise. 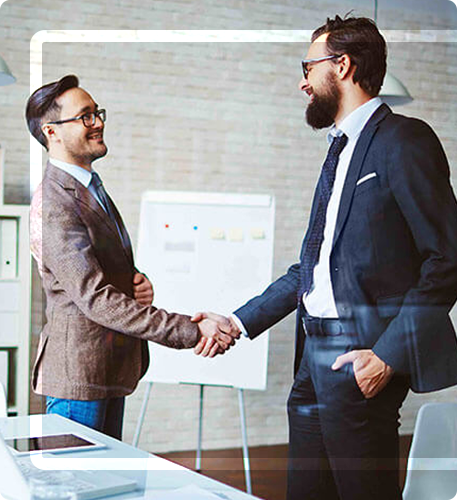 Almost every business has some form of online interaction with clients, buyers or subscribers. This interaction creates and uses data, which if accessed by malicious elements, can create enormous problems for the business. This is called data breach and let us understand it better. Data used and stored by companies can include personal information such as credit card numbers, healthcare histories, as well as corporate information, such as customer lists, manufacturing processes and software source code. If anyone who is not specifically authorized, gains access to this data, the concerned company is said to have suffered a data breach. If a data breach results in identity theft and/or a violation of government or industry compliance mandates, the offending organization may face fines or other civil litigation. or a failure in information handling or security systems. loss or theft of physical devices (such as laptops and storage devices) or paper records that contain personal information. Unauthorized access to personal information by an employee. inadvertent disclosure of personal information due to ‘human error’, for example an email sent to the wrong person. Data breaches can cause significant harm in multiple ways. A single breach in 2017 alone impacted nearly 50,000 Australians working at government agencies. Financial fraud including unauthorised credit card transactions or credit fraud. Identity theft causing financial loss or emotional and psychological harm. Family Violence / Physical harm or intimidation. A data breach can also negatively impact an entity’s reputation for privacy protection, and as a result undercut an entity’s commercial interests. 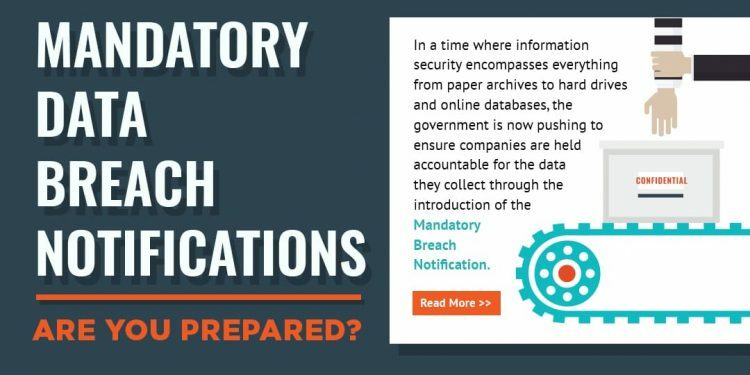 Mandatory Data Breach Notification (MDBN) became a law in Australia on 22 February 2018. This is a high-impact development requiring businesses to notify individuals and the Commissioner about data breaches that are likely to cause serious harm. Does MDBN apply to you? Subject to some exceptions, the mandatory notification provisions will apply to private sector entities subject to the Privacy Act 1988 (Cth). In other words, it applies to a large number of companies, and there’s a good chance that it applies to you. If you’re still unsure, you can call us for more information. What can you do as a business for protection from data breach? This is where we come in. 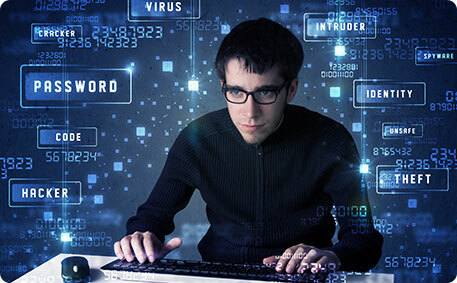 At CS Professionals, we specialise in helping businesses upgrade their IT security set up to thwart and security threat posed by a hacker or a virus. Our services include a complete appraisal of your current IT security. Answers to these key questions will help us customise the most suitable suite of security measures for your business. What security procedures are currently implemented to protect it? 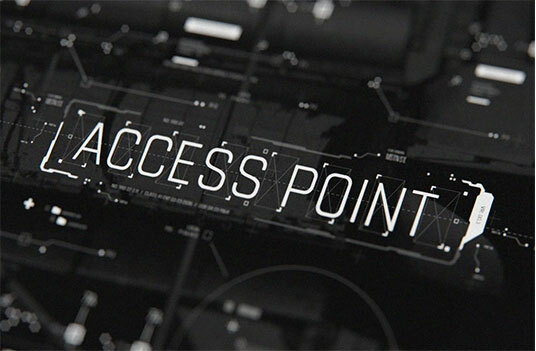 How do you secure the perimeter: web application firewalls, intrusion detection, and prevention systems, etc.? Do you test your internal and external systems using known attacker tools and methodologies? What role do your employees play in our security efforts? Small businesses in Australia is the target of 43% of all cyber crime. 60% of small businesses who experience a significant cyber breach go out of business in the following 6 months.